Store your Private Wine Collections with special care. 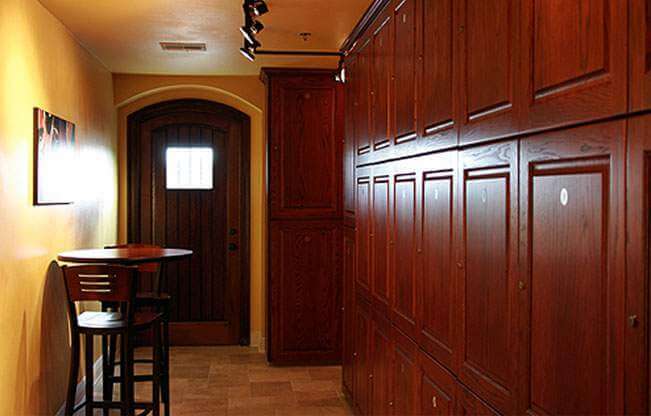 ClimaStor is Baton Rouge’s only full-service private wine cellar and storage facility. Many wine lovers choose to store their personal wine collections in a home closet or in a rack in the kitchen. True wine enthusiasts know that delicately balanced wines need proper storage conditions. With the right temperature and humidity control, wines will age perfectly and develop the unique balance of flavors that the winemaker envisioned. ClimaStor Wine Storage is designed for the wine aficionado who understands the importance of proper fine wine storage. Whether your collection includes just a few bottles or several cases of your favorite vintages, ClimaStor has a state-of-the-art storage solution that’s right for you and your wine. We make paying for your storage unit easy. Pay by credit card, check or online, whatever is most convenient for you. We can set up automatic monthly payment through your credit card or checking account, so you don't have to think about it. Feel free to stop by the ClimaStor location nearest you. We'd love to show you around and help you pick out your unit.